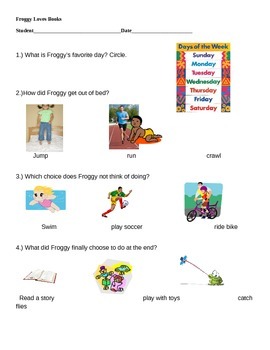 This is an assessment that can be used with students with disabilities for the book, Froggy Loves Books by Johnathan London. It is a worksheet that provides multiple choice comprehension skills about the story. Great for non-verbal communicators!